"It's a hidden gem," says a crewman on the boat to Garinish Island. "Ryan Tubridy couldn't get enough." His quip pulls me out of an early morning slump - one that set in after a mad dash along Glengarriff's seafront in lashing rain. We're here, on the pier, after my three- and five-year-old children and their nana, who is prone to seasickness (to put it mildly), legged it to make the first boat at 9.30am. The Harbour Queen ferry (harbourqueenferry.com; tickets from €12/€6 per adult, April to November) is packed with a busload of Dutch tourists and it looks like there's standing room only. But they're a decent bunch. They push up along their seats to make room, and it's not long before we begin to forget the grim start to the day. This is our first family trip to West Cork. After a four-hour drive from Dublin with a disgraceful lack of services along the motorway - particularly toilets - and many "Are we there yets?" we're finally in the market for some fun for the kiddies. The chance of catching a glimpse of harbour seals is the big attraction of the boat trip. We aren't sure if we'll even bother with the island. I imagine a few yellow sheep matted with manure and the gable end of a ruined church, if we're lucky. As we pass Seal Island, one of the shiny residents suddenly somersaults out of the still water and the children are thrilled. I manage to get the camera out in time. The crewman points at white chimneys sticking out from trees on the shore. "That's Maureen O'Hara's house," he says. A Google search later on reveals the deceased actress's love for her 35-acre estate, Lugdine Park, with its quaintly named "ladies' walks". I end up down an internet rabbit hole, reading about a press conference she held in the nearby Eccles Hotel (above) - where we're staying - after a fallout with a personal assistant, tragic marriages and even claims of an affair with John Wayne. O'Hara died in 2015; Lugdine now has another owner. Apparently, locals crowdfunded to build a statue of the feisty Hollywood legend, and had hoped it would be ready in time for her nephew to unveil on a recent visit, but it was unfortunately delayed. It will be ready "within months", a spokesperson for Cork County Council tells me later. I shake my head, but am secretly happy to be in a place where time, it seems, isn't everything. Enjoying our boat trip, we decide to pay a fiver to see the garden island. 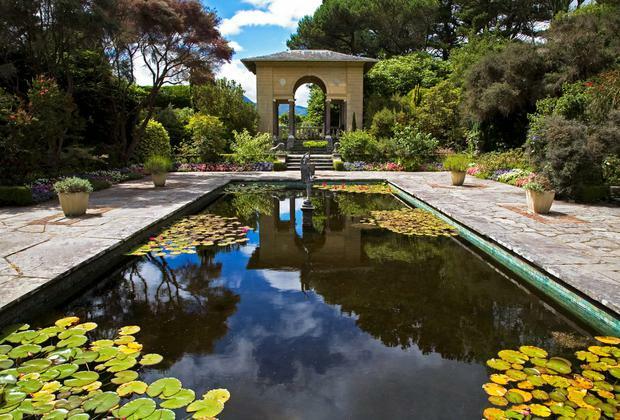 Belfast-born John Annan Bryce and his wife, Violet, transformed Garinish from a rock into an elegant home with the help of 100 men or so in boats, we learn, and the Gulf Stream provides the perfect climate for exotic plants. The estate is now in the care of the OPW and, all things considered, it's a little paradise. Our crewman's words ring in my mind. It's easy to imagine an exhausted Tubs walking around after a gruelling season of Late Lates and early starts, without his smartphone. 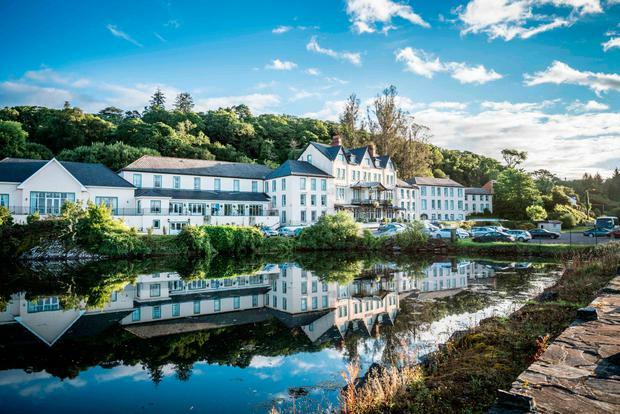 Our second stay of the holiday - a rental mews at Ballynoe House (above), 10 minutes from Clonakilty - is another dramatic antidote to the stale air of the indoor playcentres we've been hanging around in Dublin. Our two start every day looking for little people in a fairy wood in the surrounding meadows created by the owners, Felicity and Mark Grace, while we adults admire the lavender gardens and kind of high-end finish that wouldn't be out of place in an IFSC penthouse. The bathroom mirrors come on when you wave your hand underneath. 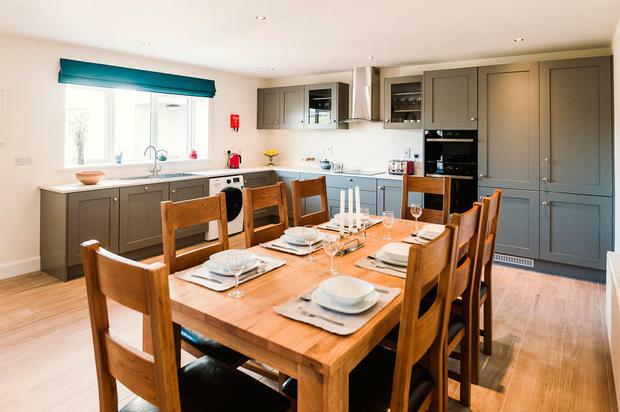 From Ballynoe, it's a five-minute drive to the sheltered Red Strand and just 10 minutes to the vast stretch of Inchydoney, where hardy surfers can take classes or go to summer camp once they're over eight. And, of course, there is nearby Clonakilty. Whenever I think of this town, I think of the Big Fella, Michael Collins. There is a new museum in his honour on the elegant Emmet Square where he once lived (michaelcollinshouse.ie) but that's not going to cut it with the kids. 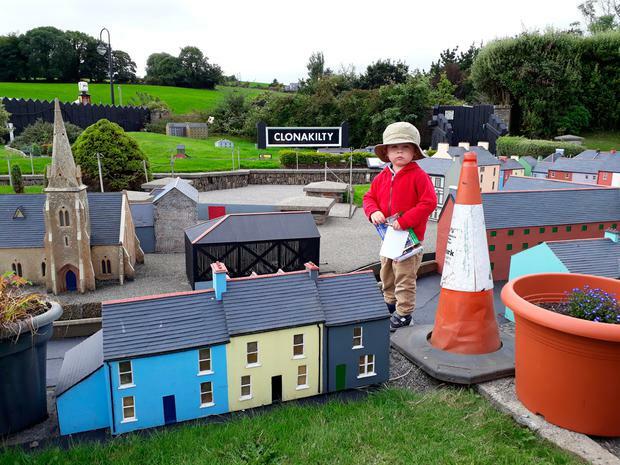 For them, the highlight is the Model Railway Village (modelvillage.ie; €22.50 for a family of two adults and three children, or €31.50 with a train ride, below). Our visit proves a trip back in time, wandering around handmade miniatures of Cork's best-known towns. My son tries to run down the streets like King Kong, crushing all in his path. We distract him with a Choo Choo train ride through Clonakilty and he's soon busy waving at people just inches away. Nearby, I spot a poster advertising a screening of a Jeremy Irons documentary, Trashed. "If you think waste is someone else's problem, think again," it says. It doesn't seem to be the thinking further up the street. "Paul's second-hand furniture and auld shite" reads a sign outside an antique shop. When we get back to the model village, the children get lost in a game to find toy penguins hidden in the tiny streets. Then they go to reception to see what they've won. "So, what was your favourite part of the holiday?" I ask, naïvely, when they're back. "Lollipops," they shout, waving their prizes in the air. West Cork scooped two Michelin stars this year (for Baltimore's Mews and Restaurant Chestnut in Ballydehob). For cheaper eats, try Skibbereen's Saturday market, or a tasting board of local ingredients at Manning's in Ballylickey. Anne Marie and family were guests of Ballynoe House (above) and Eccles Hotel. Ballynoe (ballynoehouse.ie) has mews houses sleeping four, at €980 per week in high season, and a Barn House sleeping eight, at €1,960 per week. You can also book shorter breaks, and rates are lower off-peak. 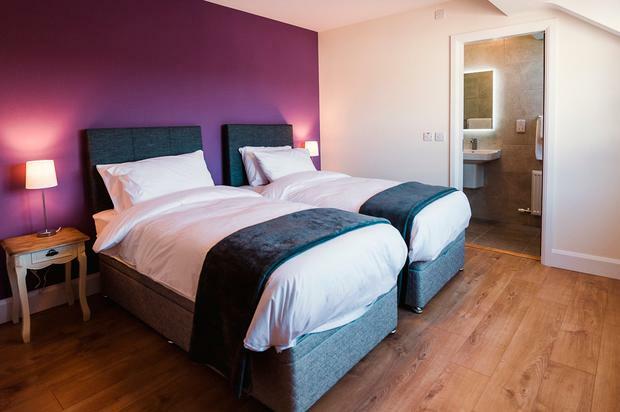 Eccles Hotel (eccleshotel.com) has family rooms from €180 and doubles from €90 to €120, depending on the season. For more to see and do, visit clonakilty.ie and purecork.ie.